Are you one of the thousands of people who move to Canada from the USA each year? Its becoming even more popular as companies grow and work places change, meaning that your business may need you to move to a different location, or you might like a change in a different country. When you make your move, it's a good idea to consider using Canada auto shipping companies to move your car, as the drive can be quiet long and a company that will move a car on your behalf is a very useful thing to have. 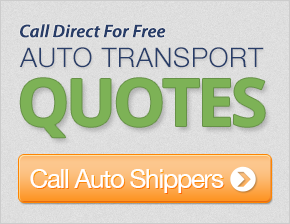 There are many different car shipping companies in Canada and the U.S. The first thing you need to know is not all of them deal ship cars to Canada. This is because some of them are solely concerned with interstate auto transport services in the U.S., and while your car will not cross an ocean, there is still a lot of paperwork that needs to be filed to correctly transfer an American registered vehicle into Canada, or vice versa. It's important find an auto shipping company that deals with international car shipping and can move your car to Canada. When you contact them, they will ask you a series of questions about the size and model of your vehicle so they can ensure they provide the correct transport truck to move your vehicle. Of course, some automobiles are particularly large, which is why this step is important. Next, they will ask you some questions about when you are planning to move. When you use an Canadian car transport company to move a car, its important that you know that you may need to be slightly flexible with delivery dates, as they may not operate in your area every day, but will most likely be able to collect your car the week of your choosing. Lastly, you should listen to the instructions that they provide in regard to preparing your car for shipping to Canada. This is because you will need to ensure that it is completely empty, that there is only a specified amount of gas in the tank, and that all the required mechanical checks have been performed. You will find that if you dont follow these instructions, the auto shipping company may refuse to take your car and you would have to rebook the move at another time. Shipping a car to Canada will save you a lot of time behind the wheel. It's important to remember that driving conditions in Canada can be quite bad at times, so unless you are experienced, it's good to move a vehicle with a professional auto shipping company who can ensure that your car will arrive safely and in one piece. When making a cost comparison for moving to Canada, remember that when you are shipping cars you dont have to pay any costs for gas, new tires or any damage that happens on the road. Whats more, if you dont have the time for moving your own vehicle, you dont have to worry as someone else is doing it for you.